Produced from locally sourced, bio and environmentally friendly materials the Nest Bedding Alexander Memory foam promises to deliver a genuinely smooth sleeping experience that is sure to keep the consumer attached to their beds. Unlike the big names in the mattress making industry, Nest is a relatively small family owned business that has declared its goal to producing not only high-quality mattresses but also organic and natural sheets, blankets, pillows and duvet covers at a fraction of the cost consumers are usually charged by the industry’s top guns. This is a promise virtually every Mattress brand makes to the customer, and in reality, very few have stricken a balance between cost and quality. So does Nest Bedding join the elite crew of bands who have delivered on their promise? Read on to find out. The Nest bedding Alexander mattress features a composite blend of 5 foam layers whose thickness vary depending on the firmness level of the selected mattress. 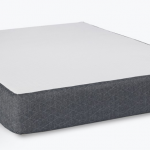 Most memory foam brands offer only three true foam layers; the Nest Bedding Alexander mattress features four unique layers that culminate to give you a 13-inch thick mattress. The cover layer of the mattress is tailored from a blend of cotton and polyester. Incorporated into the cover is an extra two inch (depending on the firmness level) foam layer that adds to the cushioning feel of the mattress. It’s sides, and edges feature an aesthetically appealing mix of suede and mesh giving the mattress a genuinely premium look. The first layer is a composite of gel memory foam. This layer is designed to efficiently absorb all heat accrued from the top (sleeping) surface of the mattress and transmit it to the sides and bottom of the mattress. Nest Bedding claims that this technology channels both the ambient heat and body heat of the sleeper from the sleeping surface to the sides, effectively creating a cool zone in the mattress top. The next layer is made of Visco foam, similar to the latex layers in the Ghost bed; this layer is designed to provide bounce and responsiveness to the memory foam layer and the mattress as a whole. However, unlike the Ghost bed which has the latex layer over the memory foam, this layer is located underneath the memory foam. What this entails this layer does not impede the functionality and efficiency of the memory foam layer. At the bottom of the mattress is a foundational layer fashioned out from a stable edge support foam. This layer acts as the weight bearer of the mattress and provides support to all the other area. To do this efficiently, it is made of foam with a higher density than the rest layers. Soft; on a scale of 1 to 10 where one is as soft as a marsh mellow, and ten is hard as a rock, the soft category seats at 3, and is characteristically cozy and silken. Medium; the medium option comes in at six on our firmness scale, indicating that this is the mattress for the average sleeper. It conveniently strikes a balance between soft and hard and seems capable of handling the average weight categories of sleepers. Hard; as the name states the hard class is for those who want it hard. It measures a whopping 8.5 on our firmness scale. This mattress is specially crafted for individuals tending to the plus side of the weighing scale. For us, at mattress-guides, the medium option was the best fit, but we appreciate the intention of Nest as they have made adequate provision for all weight class of sleepers. Ensuring that lightweight individuals or those who naturally prefer a soft bed are not cajoled into swinging for the medium category that is sure to have one or two disadvantages; the same thing applies to plus weight individuals. 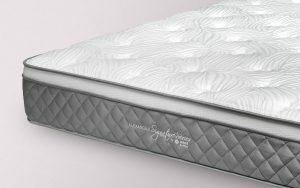 The foam bundled with the quilted cover makes for a mattress with a very comfy and receptive feel. Coupled with memory foam, the Nest mattress offers a truly soothing sleep experience. However we did notice a bit of hug and sinkage when using the mattress, this is more pronounced in the soft version (although this is to be expected). Consequent of the Visco foam present in its construction the Nest mattress delivers a pleasant level of bounce and responsiveness. When it comes to motion transfer, the nest mattress displayed very little transfer of motion throughout the breadth and length of the bed. This is particularly important for people who have partners that they share the same bed with. Given the significant sinkage in this mattress, some consumers might report sleeping hot due to the increased hug when in reality the Nest Alexander does a magnificent job of sleeping cold. The smart flow transitional layer coupled with the quilted cover ensures that the Nest is a truly breathable mattress. One thing we liked in the Nest mattress that is hard to find in most mattress brand of competitors was its edge support. The side support in the nest mattress was nothing short of impressive. Nest would be the very first mattress brand we’ve reviewed here that have bundled the brick and mortar sales outlet with an online delivery service. What this means for the consumer is that they can head over to any Nest display shops located in the main cities across the US and have a first-hand experience of the mattress before purchasing. Nest offers non-prorated warranty coverage for 20 years and during this period will replace any defective mattress devoid of any charges provided the owner followed the recommended usage guides. The coverage from Nest demonstrates the confidence they have in their product as most competitors offer warranty coverage that extends for just 15 years. Nest recommends that customers make use of at least a foundation to support the mattress a keep warranty valid. Nest as a brand scores a solid B in our business reputation charts, reinforced by this quality build of a mattress we see them soaring higher if they can keep up the pace they’ve so far set. The foundational and transitional layers present in this mattress work in perfect synergy to reinforce the build quality of this mattress. To further emphasize the point, Nest will replace or repair your bed if it compresses b more than 1 inch for the 20 year warranty period; in comparison to competitors, who will only consider a warranty replacement if the mattress compresses by more than 2 inches. Since the cover isn’t removable Nest recommends the user purchases a breathable, waterproof cover to shield the bed from stains and other forms of damage. Before you get sucked in by the marketing antics of some brands and decide to purchase their all in one bed, it’s critical you take a look at the firmness variants offered by nest as these are customized and more likely to fit into the unique firmness needs of some individual. Memory foams tend to sacrifice a lot to provide us that memorable experience and one of the usual design cut is the bounce and responsiveness of the memory foam. 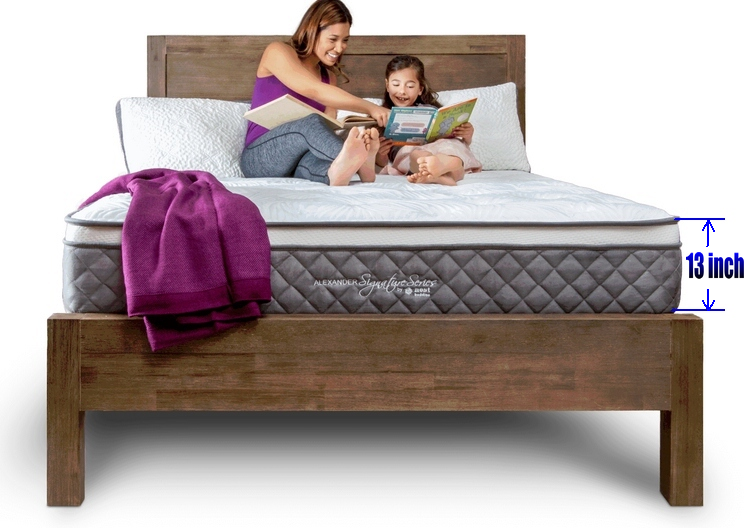 Nest, however, have managed to incorporate the necessary bounce and responsiveness thanks to their Visco foam layer into the Alexander mattress. Premium materials, flawless design, maximal comfort are the strong points of this mattress, and although $999 is not the cheapest in the mattress industry, if you decide to buy this mattress it is money well spent.